Word has spread like wildfire that the Google Affiliate Network is closing and I am seeing responses that range from “Hurray!” to “Oh Crap!”. What do you need to do now that the announcement has been made? First, PANIC. Just kidding. Don’t panic. It’s going to be okay. Even if you do a lot of business with them or your favorite merchant runs through them. It’s going to be fine. We have seen huge changes in affiliate marketing and this one is probably not even going to rate in the top 10 by next year. What do YOU need to be doing now that you have read the announcement? First, understand that this is not happening tonight. You do not need to have all of your links changed by tomorrow. However, you do need to make a plan of attack. Second, start running some reports in Google. Find out which merchants you have made any money through them with in the last year or even two years. Sort that report in order of commissions.This will not only help you figure out just how much money is at stake for you but also an order of priority for changing links. The problems may be bigger or even smaller than you are thinking right now. Third, start looking for those merchants on other networks. Some of them are already on Linkshare, Commission Junction, ShareASale, Impact Radius, Affiliate Window, AvantLink, etc. Those will be the first ones to move your links for. Fourth, start reading emails. I know we tend to ignore a lot of emails that come from merchants because we get to many. But it’s imperative that you read them to figure out where the merchants are going. I would guess that pretty much all of them that are actually making money with their affiliate programs will open on another network. If they are not making money with their affiliate program, you don’t have to worry about it because it means you are not making any money with them either. Fifth, if you do not hear anything from your key merchants in the next couple of weeks, start reaching out to them. In particular if you have merchants you send a lot of sales to you might want to actually suggest which networks you would like them to move to and tell them why. Lastly, do anything that you can to make the link transitions on your sites easier. If you are not already using something like Pretty Link on your blog to manage links, now might be the time. Putting in a little extra time now may save you a lot of time down the road if the merchants end up changing networks again for some reason. A lot of us have seen the writing on the wall for GAN for some time but tried to hold out hope. They had invested in some interesting new technologies but their platform just never got to the level of the other major players. I wondered if something was going on when I saw Dan Greene leave, because he always seems to be on the winning side. The tracking issues last year angered merchants and affiliates alike, and GAN didn’t seem to be in a big hurry to deal with either the tracking issues or the PR problems they caused. What are your thoughts on GAN closing? Do you even care? I have to admit that I have had my ups and downs with them. I hate to see what might be perceived as a “loss” in affiliate marketing but over time I don’t think it truly will be a loss at all. More Reading: Eric Ewe wrote an interesting article on What To Do Next as a Merchant. Exactly the type of advice that merchants who are on GAN need right now! In addition, Greg Hoffman just wrote a piece on Migrating Affiliate Programs from Google that should be food for thought for a lot of merchants looking at this as an opportunity to make their programs better. Nice post. Its very informative and useful. 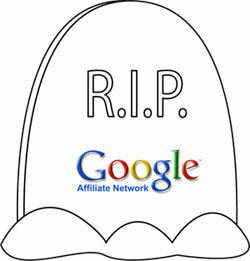 I do feel uneasy about Google Affiliate being closed because I heavily relied on them. But then again, what’s done is done and I can do things to save my affiliates. Thanks to your post, I had an idea on what to do especially the number 3 option you just gave. At least, I know now some alternatives where I can find more affiliates. Thanks for the share. Great post! I agree, the sky is not falling, our industry just continues to morph. That’s part of the reason I love it so much – exciting things are always happening. If google cant make enough with Affiliate marketing programs is this a sign that AM is going out he window? I certainly hope not but with more and more merchants ending their programs or reducing comissions to nothing I am feeling nervous. A lot of people in the industry are actually saying that this is a good thing because Google was muddying the waters tying GAN and Adsense together plus all of their other products. I think we’ll just see most of the merchants move to other networks, which will make those other networks even stronger. You’ve got some sage advice there, Tricia. I had originally begun responding here – but thought it might work better to respond on my own site and link to your advice. Great post!! And you are absolutely right about change. 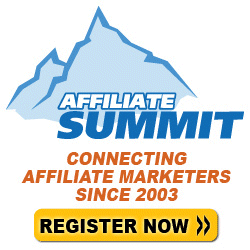 Affiliate marketing is constantly changing in so many ways. This may be “newsworthy” but definitely not in a “the sky is falling” kind of way. Lots of negtivity here – I find their interface quite nice, and simple, feeds easy to download, reports easy to view etc…way way better than Tradedoubler or Linkshare. My two pence worth. I might agree compared to some networks. As I said when I spoke last year, I think each of the networks has its own pros and cons. But I do have my favorites as well in particular areas! The Truth is not negative. Personally, GAN was always my least favorite. Annoying interface and impossible to get a hold of anyone. Curious where a lot of these merchants will end up. Also, it definitely seemed a conflict of interest for a search engine to own major affiliate network. Plus Google hasn’t his the fact that its not a big fan of affiliate links. Which always seemed weird to me. Today, morning when I saw this news, I was shocked because Google Affiliate Network might be serving millions. Anyways, decision is of Google but other affiliate networks will get the benefit. Billions served, just like the Big Mac. 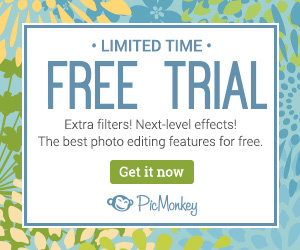 I don’t know if I have ever even sent a click to GAN or worked with any merchants there. If I saw they were on GAN I would just move on and find a different merchant to work with. Hopefully the merchants can see that they are much better alternatives out there and move over to SAS or Avantlink and clean their programs up. The transition would be tough but the merchants will be much better off for it. Personally as an OPM I think the merchants which are guided by proper management will be able to move to a network which will help them grow their program substantially because there is a greater number of affiliates available which were not on GAN for various reasons. When I take over a program in a major network like GAN, I find toolbars, software, sub affiliate networks, trademark poachers and out of control coupon sites in the top 10. Deep in the program I find niche merchants and affiliates that put lots of time into their promotions because they believe in the product and brand. Now that GAN is closing, all of those merchants that were exclusive on the network have the opportunity to relaunch the right way, with proper affiliate program management. I hope at least some of them think about a new strategy that levels the playing field and helps them find new customers. I agree completely! I think merchants should not scramble and just jump to another network with network management of their program again. They should quickly evaluate alternatives to understand how this change (which I am sure they are seeing as a negative) can actually be a huge positive for their programs. If this doesn’t teach people once and for all to redirect their important links, I don’t know what will! We have been preaching it for some time, but I don’t think a lot of people listened. Yes, sometimes if you are just doing one-off product reviews, it’s quick and dirty to use a network link. But for posts or placement that you want to get exposure over the long run, you have to redirect or risk something like this happening. Wow finger on the pulse getting this blog post out! I do think there has been a lot of issues over conflicts of interest with GAN and its other products. Maybe they know something that we don’t that would have been coming down the road because of that?